Vitamins help your body grow. You need to take them every day so that you’ll grow up big and strong like Mommy and Daddy—but you should only take what I give you. Too many vitamins can hurt you and make you sick. You should only take medicines that have your name on them or that your doctor has chosen just for you. If you take medicine that belongs to somebody else, it could be dangerous and make you sick. Your child sees an adult smoking and, since you’ve talked about the dangers of smoking, is confused. Grownups can make their own decisions and sometimes those decisions aren’t the best for their bodies. Sometimes, when someone starts smoking, his or her body feels like it has to have cigarettes—even though it’s not healthy. And that makes it harder for him or her to quit. Turn frustration into a learning opportunity. If a tower of blocks keeps collapsing during a play session, work with your child to find possible solutions to the problem. Your child dresses herself for school in a pink zebra print tank top, a polka dot vest, striped leggings and an orange beret. “You look great. I love how you express your personality in your outfits.” Celebrate your child’s decision-making skills. Whenever possible, let your child choose what to wear. Even if the clothes don’t quite match, you are reinforcing your child’s ability to make decisions for herself. Get to know your child’s friends — and their friends’ parents. Check in once in awhile to make sure they are giving their children the same kinds of messages you give your children. Your child is just starting middle school and you know that eventually, he will be offered drugs and alcohol. You find out that kids are selling prescription drugs at your child’s school. Your child hasn’t mentioned it and you want to get the conversation about it started. Being in the public eye puts a ton of pressure on people, and many turn to drugs because they think drugs will relieve that stress. The thing is, when a person uses drugs and alcohol—especially a young person because he’s still growing—it changes how his brain works and makes him do really stupid things. Most people who use drugs and alcohol need a lot of help to get better. I hope the celebrity has a good doctor and friends and family members to help him/her. Help children separate reality from fantasy. Watch TV and movies with them and ask lots of questions to reinforce the distinction between the two. Remember to include advertising in your discussions, as those messages are especially powerful. 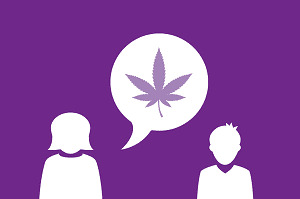 For a comprehensive discussion guide, including common teen questions and suggested responses, download our complete Marijuana Talk Kit. Your teen is starting high school — and you want to remind him that he doesn’t have to give in to peer pressure to drink or use drugs. High school is going to be a ton of fun, and we want you to have a great time. But we also know there’s going to be some pressure to start drinking, abusing medicine, smoking pot or taking other drugs. A lot of people feel like this is just what high school kids do. But it’s actually not. Many high schoolers don’t drink or use drugs, which means it won’t make you weird to choose not to drink or use drugs, either. You can still have a lot of fun if you don’t drink or use drugs. It is important to seek out these other kids who are making good choices, and be brave about trying new activities or making new friends. You’ll have a lot of decisions to make about what you want to do in high school and you might even make some mistakes. Just know that you can talk to us about anything, anytime — even if you DO make a mistake or feel stuck in a situation that you need help to get out of. We won’t freak out. We’ll figure out a way to help you. We want you to count on us to help you make smart decisions and stay safe, okay? Your teen has started to hang out with kids you don’t know — and dropped his old friends. It seems like you are hanging with a different crowd than you have in the past. Is something going on with your usual friends? Is there a problem with your old friends, or are you just branching out and meeting some new kids? Tell me about your new friends. What are they like? What do they like to do? What do you like about them? Your high schooler comes home smelling of alcohol or cigarette smoke for the first time. The response should be measured, quiet and serious — not yelling, shouting or overly emotional. Your child should realize that this isn’t just a small frustrating moment like when he doesn’t do a chore you asked for; it’s a very serious moment. Encourage your teen to volunteer somewhere that he can see the impact of drugs on your community. Teenagers tend to be idealistic and enjoy hearing about ways they can help make an impact. Help your teen research volunteer opportunities at local homeless shelters, hospitals or victim services centers. I know you’re off to start your own life but please know that I’m always here for you. I respect that you’re old enough to make your own choices, but if you ever want another perspective on things, give a shout. I’ll try my hardest to help you out without judging you for your decisions. Sound good? There are certain things that you can count on in life and one of the things you’re going to be able to count on is me. After watching a movie portraying drug use together, you want to gauge your adult child’s opinion on drugs. I know you’re going to think that I’m over-protective or meddling, and I’m sorry. But that movie really disturbed me and I’m curious: Is there a lot of drug use at your college/in your new town? Do the new friends that you’ve made dabble in drugs at all? How do you feel about it?